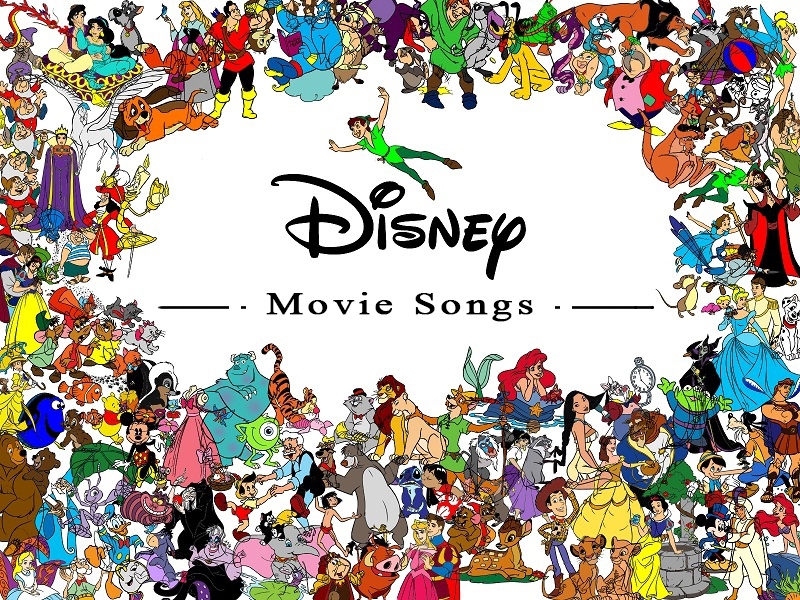 Disney has been an expert at creating films and music for many years, which is why creating a list of the top 20 Disney movie songs is relatively difficult, but still possible as seen below. Spanning several generations, these songs are filled with meaning and purpose, both to those who listen to them and the characters who sing them. A true classic, this song hits at number one on our list of the top 20 Disney movie songs not only because of its nostalgia, but also because of its message. Wishing upon a star really can make some dreams come true, which kids love to hear. Hip and fun, it’s no wonder this song makes it into the list of the top 20 Disney movie songs. Helping us realize that sometimes we really do not need much extra, this song is the perfect life motto. This evil song easily hits home as it shows how those who feel unfortunate consistently desire to have more. This song is popular because of how it is a turning point in the film, when Ariel realizes how unfortunate she feels to not be human. Dealing with a life on the outside, Ariel expresses her desire to become a part of someone else’s world. This song gained its popularity to make it to the list of top 20 Disney songs for its message and moving performance. Another Oscar-winning performance easily lands this song in our list of the top 20 Disney movie songs because of its heartfelt emotion. It shows a mixture of love and compassion that simply cannot be rivaled. Nothing gets you into the character of Aladdin like this song, which perfectly expresses his life so far. Literally showing him “one jump ahead” of the guards as he has to steal for his daily sustenance, it shows just how much of an orphan’s life he has had to live. Winning an Oscar for the best original song in 1993, this song became popular because of its expression of newfound love mixed with adventure and excitement. Now a modern classic, it is a common choice for auditions. Evil songs often get a bad reputation, but the music itself is often excellent, creating the perfect mix to send several chills down your spine. This song’s performance and accompanying dancing hyenas easily gained its popularity with its viewers. The message of this song rings true on many levels as it reminds everyone to understand each other before deciding to judge each other. Its Oscar-winning performance is still thought-provoking in our society today. A song of realization, this piece often goes under the radar despite being powerful. A young boy realizing just what he needs to do is definitely a good role model for young viewers. True to its title, this song hits home with the difference in what we see in ourselves, and what others see in us. Known as one of Disney’s rawest ballads, it still hits home over a decade later. Going to war is difficult for young men, but this song shows that having a girl back home worth fighting for can make all the difference. Fun and unique, this song definitely earns its spot in the top 20 Disney movie songs. When the going gets tough, it’s time to simply get down to business. Gaining popularity from the ease of singing along to it, this song also shows the growth of characters as they train for battle, showing just how well hard work can pay off. A heartfelt piece that shows the love a new mother has for an adopted son, this ballad will certainly pull at one’s heartstrings. Even after years of working hard, Tiana is still just barely where she wants to be, which is perfectly expressed in this song of hard work and dreams. Hitting along the same theme of needing to go the extra miles to accomplish your dream, this song also expresses the idea that you have to dig deep into your own thoughts and feelings in order to understand the world and people around you. True to the everlasting Disney themes, this song finishes out our last place in the list of top 20 Disney movie songs because it so effortlessly shows just what having a dream means, even if you are in the midst of a pub about to be attacked at any second. When it comes to living life in secret, the mother should definitely know best expect when she’s an evil villain. Upbeat and sinister at the same time, this song is a consistent crowd pleaser. “Let It Go” has become one of the most popular songs across the ages within weeks of the movie’s premier. A song of release and freedom, “Let It Go” appeals to us because of its excellent melody, vocals and message. Showing the conflicting emotions of two sisters, this song sets the scene for the entire film. It gains popularity, however, from its raw joy.